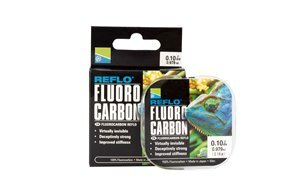 Reflo Fluorocarbon is virtually invisible in water making it the perfect choice for clear water conditions. Boasting improved stiffness over traditional mono which makes it ideal for feeder and pole hooklengths, especially in fine diameters which are often prone to tangling. Made from 100% Fluorocarbon.